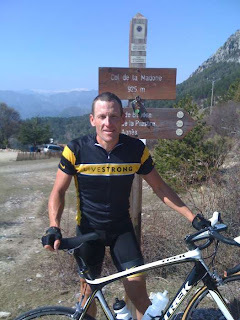 PARIS: Lance Armstrong literally had a bad hair day. A French anti-doping inspector armed with a pair of scissors this week took six clumps of the former Tour de France champion's hair that now will be tested for signs of drug use. Armstrong says his hair was so "butchered" by the test that he had to get a buzz-cut to hide the mess. If it sounds like a joke, it's anything but. In France, hair tests are now being used to hunt down the use of banned substances in sports. Here, when anti-doping authorities say they want the scalps of cheats, they mean it. In Armstrong's case, it's not unreasonable to question whether anti-doping authorities around the world aren't going a little overboard. By his count, the culling of hair, blood and urine samples after he trained Tuesday in the south of France was the 24th time since he resumed cycling in August that he's been subjected to an unannounced anti-doping control. The sample-collector "flew down from Paris, he was a French doctor, couldn't have been nicer. He was a total gentleman," Armstrong told The Associated Press by phone on Wednesday. But "he didn't make my hair look very good, that's why I cut it after that, after he butchered it," Armstrong said. "There were a few good stripes at the back so we just buzzed it down." The 37-year-old is staying good humored about the whole thing. He posted a photo of himself and his new hair on a Web site he uses to keep fans abreast of his movements and thoughts. But although he is being careful not to gripe, he also noticed that he seems to be getting tested far more than many other riders. "A lot of my co-workers and old friends and former teammates are (on) less than 5" such tests, he told AP. "I'm fully aware that it's part of the job. I knew that going in. I'm a little surprised by the frequency, but I'm not complaining," he said. 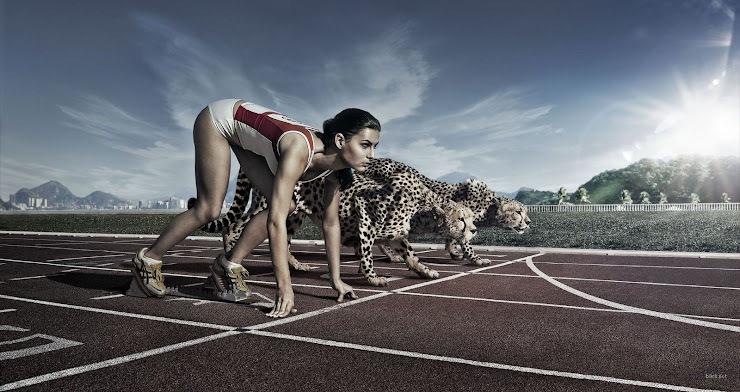 "The honest truth is that it's only inconvenient if they come right when you're done training, so you're tired from training. There's things like that where you go 'Oh, I have to deal with this now?' Or if you're in the middle of dinner or if you're with your children." Persistent doubts about whether Armstrong used drugs to win a record seven Tours explain in part why testers are targeting him. Armstrong insists he raced clean. And being tested a lot now works to his advantage, allowing him to keep the skeptics at bay as he tries to focus attention focused on his fight against cancer, the main reason he came back to the sport. That's probably why he's keeping count of all his tests and publicizing them. Also, the anti-doping regime progressed in the three years he was retired following his last Tour win in 2005. Unlike back then, the UCI now uses blood tests to try to determine over time whether riders are doping. Many of the tests Armstrong has had since his return to cycling have been for the UCI and its blood-watching program. With this week's test, France's anti-doping agency was not only looking for drug use but also to send a message: Armstrong should not expect any favorable treatment. The agency's chief, Pierre Bordry, made that quite clear, saying Armstrong "needs to know that he is like everyone else." So it gave him the full treatment. Two samples  A and B  were taken not only of urine, which is standard, but also of blood and hair. The hair test "troubled him quite a lot," said the agency's director of doping controls, Jean-Pierre Verdy. Hair is clipped with scissors, and six clumps each the diameter of a pencil were taken in all, he said. "Sometimes, it leaves holes," Verdy said. There's a certain amount of overlapping going on between the various agencies that are keeping a careful eye on Armstrong, and perhaps the number of tests could be reduced if they shared results better. Armstrong says he even had a drug tester from Germany visit him in his native Texas  hardly cost-effective or environmentally aware. The French anti-doping agency says the governing body of cycling, the UCI, won't share data that it is collecting on riders with blood tests. That means the agency conducts its own blood tests and bought its own equipment to interpret results in the same way the UCI does. In its defense, the UCI says it cannot share riders' blood readings without their consent. Armstrong says it was the first time he has undergone a hair test, which was "the only thing that made it spectacular." "At the end of the day, I have nothing to hide," he said. "You want to come and get blood, urine, hair, whatever you want, come on."